A federal judge in Winston-Salem will hear arguments Wednesday over the recent cancellations of up to 4,500 voter registrations. The North Carolina chapter of the NAACP alleges some of those cancellations targeted African-Americans, and all of them violate federal law. The North Carolina Board of Elections calls that a legal misinterpretation that puts registration policies in most states in jeopardy. Either way, advances in technology have changed the way these cancellations happen. Over the past few months, a handful of private citizens in the eastern half of the state have challenged huge numbers of voter registrations. In fact, almost all the challenges came from two people in Moore and Cumberland counties. Jay DeLancy helped them do it. "It's all through data mining," he says. "It's all through taking public records and spending money on postage." 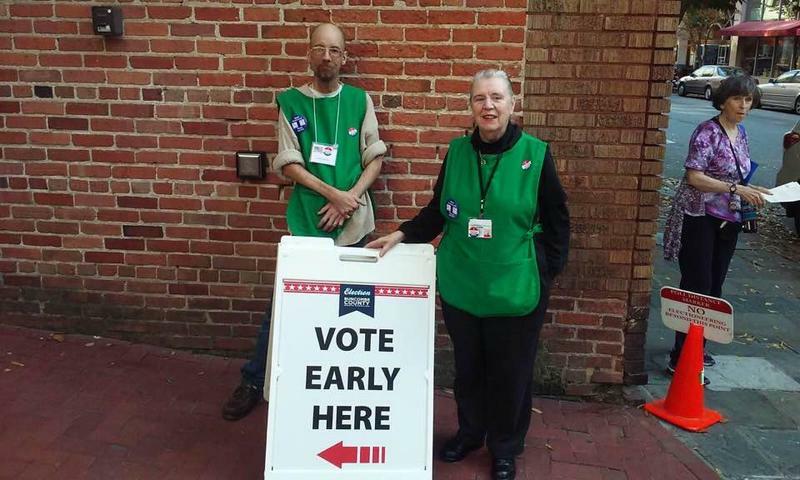 DeLancy is co-founder of the Voter Integrity Project, a small group in Raleigh that's drawn criticism for how it tries to prevent voter fraud. Like most states, North Carolina allows private citizens to challenge registrations. A lot of the information is available on the state Board of Elections' website. People essentially fish by sending out mail and seeing what comes back undeliverable. It's unclear exactly what the mail in this case said. One man with the Voter Integrity Project in Cumberland County challenged nearly 4,000 registrations in August and September. "The protections for the voters that are built into federal law are just being violated here," says Penda Hair, an attorney representing the North Carolina NAACP. The federal law she's talking about is the National Voter Registration Act. It prevents states from doing a systematic housecleaning of their voter rolls within three months of the election. "The private individuals have initiated the challenge," Hair says. "But from there, we believe it is a state program that is set up and administered by the state." General counsel for the North Carolina Board of Elections, Josh Lawson, says the state has nothing to do with the challenges. He says they go from private citizens to county boards of elections, and can be appealed in court. Also, Lawson says the majority of states interpret the law on private challenges the same way North Carolina does. "If the NAACP is correct in their read, then no challenge based on residency would be permitted under federal law, not just here, but everywhere," Lawson says. "So if plaintiffs are right, then most states are wrong." The National Voter Registration Act does not directly address private challenges, and the U.S. Justice Department declined to comment on this case. Congress passed the act in 1993, back when data mining was still a new concept. Now, a private citizen with a computer and a little help can do large-scale list maintenance. 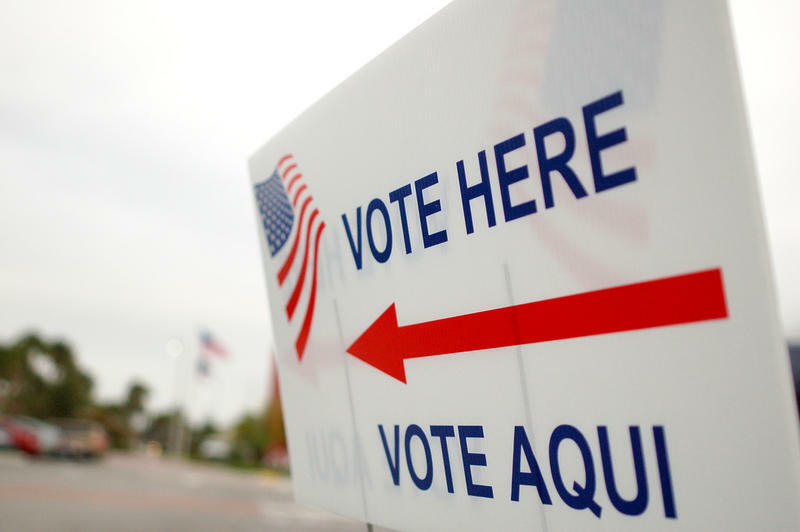 "And if they're doing it to the extent that constructively this is a voter purge, that might run afoul of the National Voter Registration Act," says Jonathan Brater, an attorney with the Brennan Center who's researched the law. Brater says it's unclear how large the numbers have to be to count as a systematic purge – that'll be up to the federal judge in Winston-Salem. The NAACP is also arguing some of the removals targeted African-Americans. It's an allegation with fresh history in North Carolina. A federal appeals court ruled this summer the state's 2013 voting overhaul targeted African Americans quote: with almost surgical precision. Jay DeLancy of the Voter Integrity Project says race plays no role in his group's work. "It just makes me mad when they try and call us racists and use our blind research as an excuse to throw that race card out on the table," he says. DeLancy says the private citizens aren't targeting anyone – they simply look for irregularities in the data, like lots of names at one address, and see where it leads. The state board says no registrations have been canceled without two hearings and a mailing. Of course, that mailing usually goes to the address that resulted in undeliverable mail in the first place. Because of this summer's federal appeals court ruling, voters have the backup option of same-day registration during early voting, which wraps up Saturday. 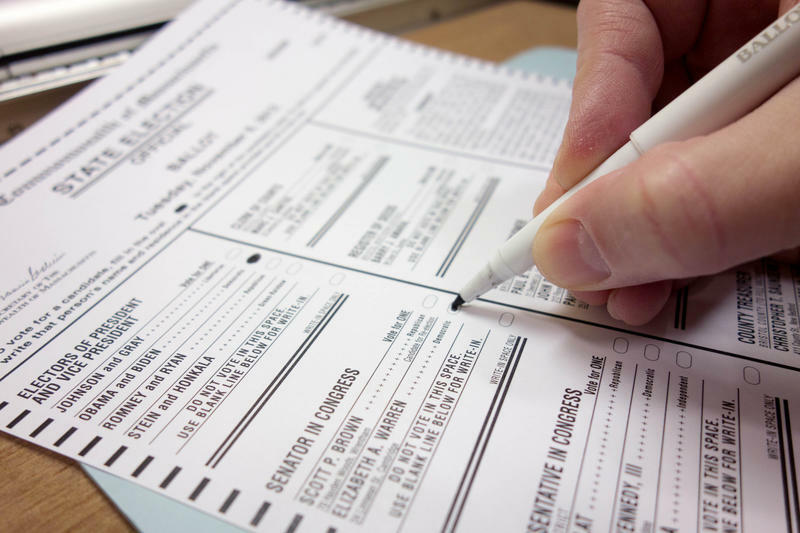 But if voters are unaware they were successfully challenged, miss early voting and show up on Election Day, state officials say their ballot will not count. The state chapter of the NAACP is asking a federal court to stop local elections boards from canceling voter registrations. The lawsuit says the court should restore thousands of voters who have been removed from the rolls in Moore and Beaufort Counties because of individual challenges. Slightly more than a third of registered voters in Buncombe County have already cast a ballot during early voting, which ends later this week. The last week of early voting in North Carolina has begun. Early voting wraps up on Saturday, November 5th. That’s the last chance for anyone NOT registered to vote to do so, as unregistered voters can register and vote at the same time during early voting, but NOT on Election Day, November 8th. Long lines have been reported across the state. But things were pretty slow and steady Sunday at the Pack Library early voting site in downtown Asheville. Donner Lohnes is a poll worker at that site. The crowd at this year’s Mountain Moral Monday may have been smaller than in recent years. But it was no less enthusiastic. In between the music and poetry readings was the main attraction – a keynote speech from Reverend Dr. William J Barber II, president of North Carolina’s NAACP. While he touched on many topics in his more than half hour address, Barber’s call to action, repeated several times, was just four words long.